If you live or work in Mountlake Terrace please click here. Radiosondes are meteorological packages that report temperature, humidity, pressure and wind as they are lifted high in the atmosphere by a weather balloon. 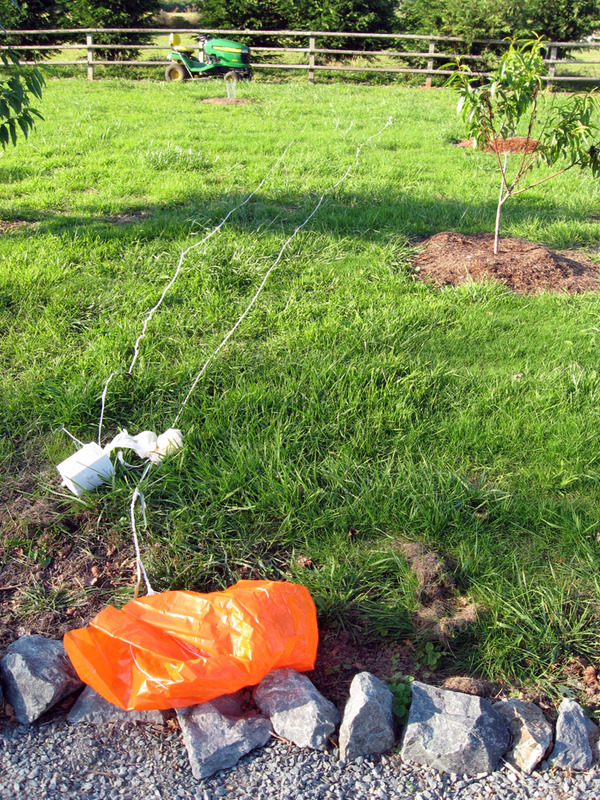 According to the National Weather Service radiosondes can ascend to over 35 km (about 115,000 ft--23 miles) and can drift hundreds of km. Temperatures can drop to as cold as -130F and flights can last two hours or more. The balloon is about 6 ft in diameter when it starts, but expands to 20-25 ft before it bursts. And here is a plot of the observations from the unit....check out the winds...they are consistent with the route--very strong from the westsouthwest aloft. 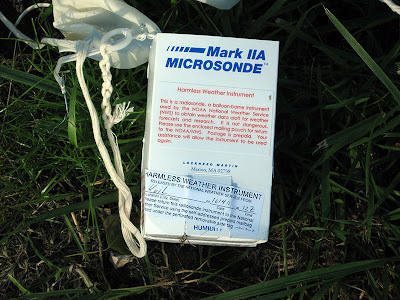 Each radiosonde unit comes with a prepaid mailer to send it back for refurbishment and release. My colleagues in the NWS tell me only a small proportion of the 75000 units launched each year get returned (around 15%)...but the U.S. government saves money on every unit that gets mailed back. 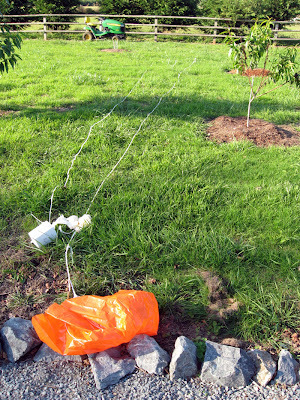 So keep a good luck out for used radiosondes...I am told that finding one is more lucky than finding a four-leaf clover. Need a perfect holiday gift for the weather inclined? 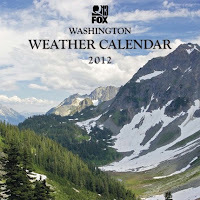 Sure, you could get my Northwest weather book, but I have an even better idea--a Washington weather calendar! This is a fund-raiser for the Seattle Student Chapter of the American Meteorological Society and all the profits support this good cause (KCPQ is a sponsor that is not getting any of the proceeds). Cost: $13.99.